Spring arrived in Ohio in pretty normal fashion. 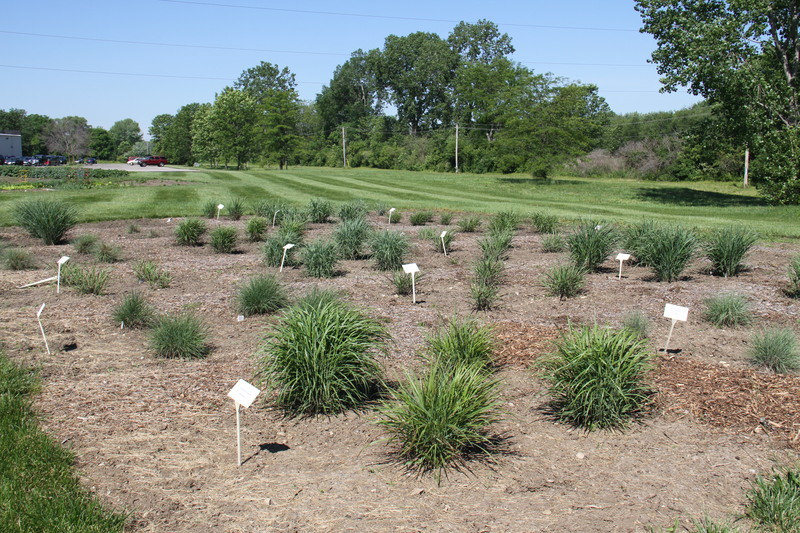 The ornamental grasses in our trial started showing color around May 8. All of the grasses in the trials except for one single plant, Schizachryrium scoparium ‘Carousel’. All of the plants look great except for that one! The weather has been fairly close to normal with the exception of rainfall; we are down about 3” of rain from average rainfall numbers for the year. We are not, however, at the point of having to irrigate. We are working hard to eliminate all of the weeds and mulch the paths. The trial was planted in June/July of 2102 and since we had record high temperatures with several days over 90F, we irrigated as need in order to establish the plot. All plants were thriving at the end of the growing season. 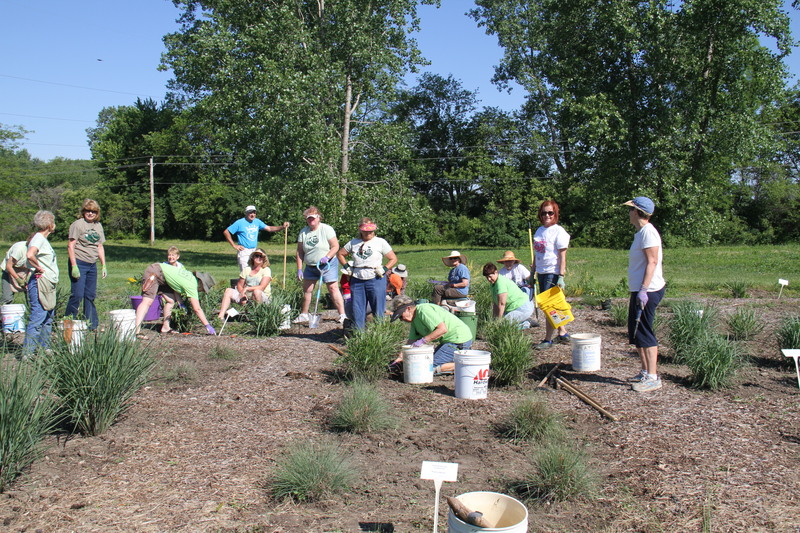 The grasses were all cut back on April 3, 2013 and we started mulching the paths and weeding the beds.